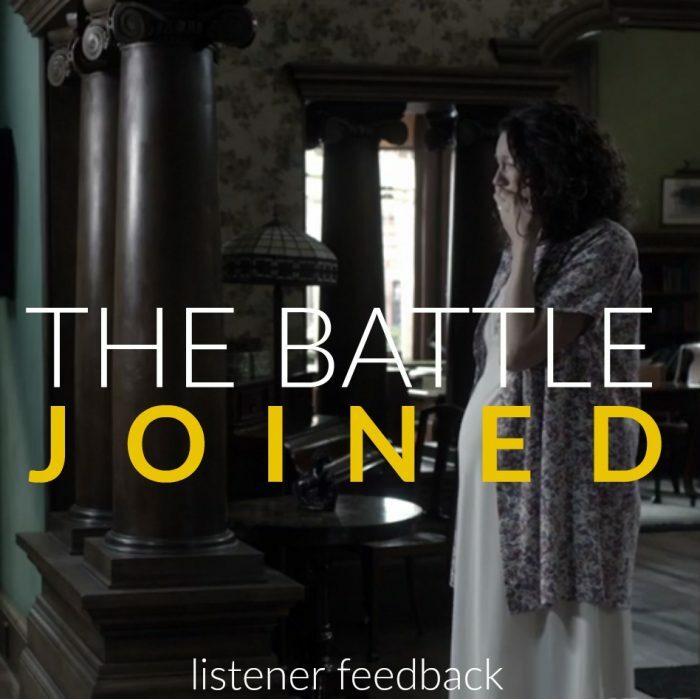 Outlander Podcast Hosts Mary & Blake dive deep in An In Depth Study of Outlander season 3 premiere: The Battle Joined. In this episode, we chat: the function of The Battle Joined in relation to the whole story of Outlander, three scenes that highlight why this episode is so special, the four main pillars of scene structure, why this kept reminding us of Star Wars: The Last Jedi, the most memorable moment Outlander has offered, and why this may be the most perfect episode of Outlander yet, and much more. Episode 115 of Outlander Cast is brought to you by Simple Contacts. Get $30 off your contacts at simplecontacts.com/outlandercast or enter “outlandercast” at check-out. Mary Greer, Michelle Osteria, Jennifer Wilson-Veil, Lauren Hutton, Heather Mohr, Marilyn Neenan. 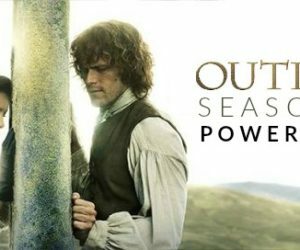 STARZ Announces Outlander Season 3 Premiere Date—September 10! Absolutely love the podcast! PLEASE keep them coming this summer!! I find your discussions fascinating as they look at the episodes in a more informative way. General reviews of critiques, which just gives positive and negative impact are ok, but this is on another level, which is welcome during this long Droughtlander. Thanks bunches! Slainte mhath to you and your family! Thank you so much! I really appreciate it. What other episodes would you like to see us tackle? 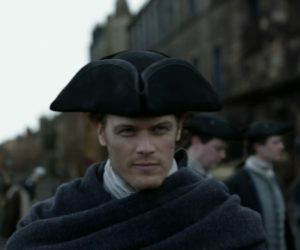 After re-watching Black Jack Randall’s conversation with Claire about controlling his violent impulses to be a husband to Mary, and his angry physical reaction to his brother’s death in episode 212, it occurred to me that he may have been content to die at Culloden so as not disappoint his brother’s expectations when he wasn’t able to be a decent husband. Losing his life by Jamie’s sword was the best ending he could envision. since in his mind, he shared a connection with Jamie. So the embrace as he died seemed fitting ending for Black Jack. The fact that BJR lay on top of Jamie for so many hours most likely saved Jamie’s life. I wonder if Ron viewed twisted and perverted BJR as having a sliver of humanity in the end? Pat-I agree with your train of thought and your conclusions. I really enjoy revisiting the episodes in this way as it allows us to dig in to the many layers of the story. 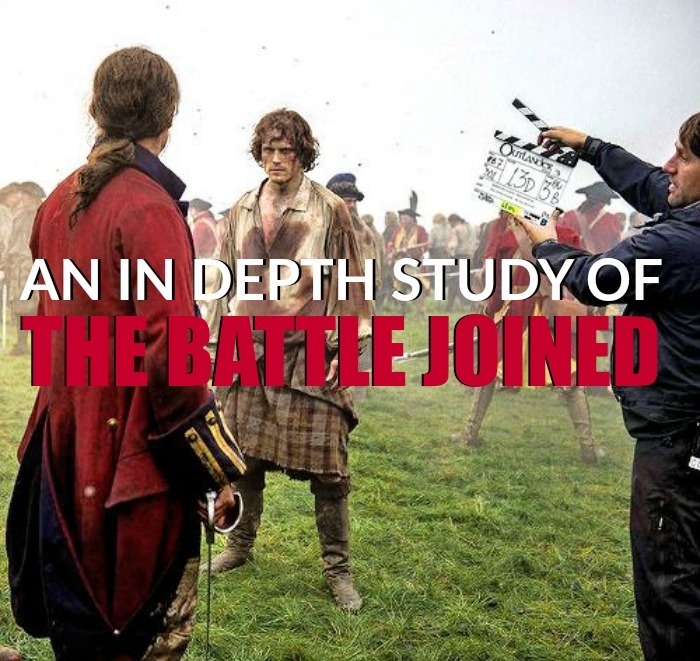 I understand that this type of analysis is not for everyone, but I find it fascinating and also a great remedy for this horrid Droughtlander “sentence.” How many months til November???? I love this thought! Despite the fact that he was at the very least a sociopath and at worst a total pyschopath, I do think there was a bit of humanity in BJR. And that’s the thing – there has to be humanity to him. Otherwise he’s Michael Myers, or Jason Vorhees. He’s a villain for the sake of being a villain. And I think Ron and Ira Steven Behr understood that. (Evidence of that would be Rons treatment of the Cylons in BSG and Ira’s treatment of the Dominion in DS9 – they could have easily been throwaway evil villains but there were ironically given humanity to make us care about them and their struggle with their villainy. Oooh, Pat! I love the way you think. Is that crazy? literally feel the emotion from both actors and characters. In a way, I was thrown back to To Ransom A Man’s Soul in watching the battle. It was raw and primal and you knew that death was going to come to one of them. Perhaps on that day Jamie had a death wish–after watching Claire go through the stones–leaving him forever. He lost Claire and his unborn child. Jamie had endured so much. BJR could have had a death wish also–In a sick way, perhaps Jamie was the one he had a connection to the most. As such, when BJR reached out to touch Jamie, it just gave me the chills. It was a gesture that held so many levels: connection and a taunting. In BJR’s mind, it could have been the last thing that he wanted to do before he died as well.